To most dieticians and food experts, natural sugar is the kind of sugar contained in fruits, vegetables, and other plants. Most of these sugars occur as fructose, though glucose and sucrosecan also be found in some foods. They are natural for two reasons: one, because they occur on their own; and two, because they are not manipulated or extracted by humans. Depending on the context, once a sugar is removed from a food source and processed, it may not be able to be sold or marketed as “natural” — even if it is sourced completely from nature. Natural sugars occur most plentifully in fruits, which is what gives them their sweet and often appealing taste. Foods do not have to be sweet to contain sugar compounds, however. Carrots are often high in natural sweetness, as are most squashes. Even plants like cabbage, beets, and potatoes contain some of these compounds. All plants produce sugar as a byproduct of photosynthesis. Roots take in water from the ground, which is combined with carbon dioxide, solar energy, and chlorophyll to produce the energy needed to grow. In most cases, this energy comes in the form of sucrose and is considered a “natural sugar.” The sugar is absorbed and processed by humans during digestion. One of the only non-plant sources of completely natural sugar is honey, which is produced by bees from plant pollen. 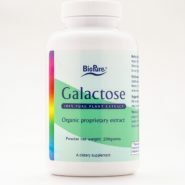 It is very high in glucose, one of the most easily digestible sugar compounds for humans. Sugar cane and sugar beets typically contain very high concentrations of natural sweetness and are commonly used in commercial table sugar manufacturing. Although cane and beet sugar isnatural in so far as it comes from nature — that is, directly from plants — it is nonetheless not usually considered a strict “natural sugar.” This distinction has caused some controversy in the food and labeling communities. In the United States, as in many countries in the world, sugars that have been refined or processed, even minimally, cannot be sold under the “natural” label. Some manufacturers get around these restrictions by labeling their products as “raw” or “straight from nature.” It is usually impossible to purchase true natural sugar in isolation, since it is by definition a part of a plant or food source. When dieticians and health professionals warn patients to stay away from or limit sugar intake, they are not usually including natural variants. Avoiding natural sugar would mean limiting fruits and vegetables, which usually have a host of other essential vitamins and minerals. Still, too much sugar — natural or not — is never a good thing. Dieters often seek to limit their intake of some of the most sugary fruits as a means of limiting calories. Diabetics, who have a medical condition that impairs their ability to process sugars, must also usually be cautious of even everyday foods’ sweetness content. Natural sugars should not be confused with natural sugar substitutes. Sugar has traditionally garnered something of a bad reputation in health circles as a source of empty calories that can lead to diminished health and weight gain, among other ills. This has led many to look fornatural sweeteners that do not contain sugar, or contain it in low doses. 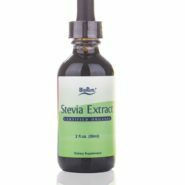 Stevia, agave, and amasake are some of the more popular sugar alternatives that contain sweetness without the caloric load. Though these are widely believed to be natural sugars, they are more properly considered alternatives or substitutions, since they have been refined. No man-made or chemically produced sweeteners can qualify as natural, though many are popular as a low- or no-calorie sweeteners. Compounds like aspartame and saccharine are common examples, and they are often added to diet sodas and certain foods to reduce the overall calorie count. Some food manufacturers also use hybrid forms of sugar, such as high fructose corn syrup. 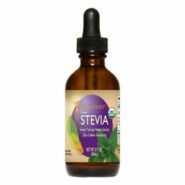 This syrup is a concentrated compound that delivers more sweetness per drop than ordinary plant-based sugars. It has received a lot of negative attention from health food advocates, who argue that it can be harmful in large doses and may not be able to be efficiently digested or processed by the body.